What happens when you visit an osteopath, what a treatment is likely to cost and how to find a local osteopath. Check that the osteopath is registered with the General Osteopathic Council (GOsC), the regulatory body for osteopathy. You can do this by checking the Register on this website or calling us on 020 7357 6655. Osteopathic practices should be able to provide information about the osteopath, the clinic, what the treatment involves, payment methods and anything you need to know in advance of your first visit. 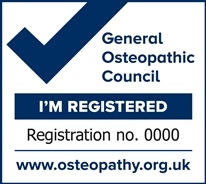 Osteopaths may highlight their registered status by using a GOsC Registration Mark (see image, above) or posters in their practice or on their patient information. They may also display their annual GOsC registration certificate or show you their GOsC identity card. Osteopathy specialises in the diagnosis, management, treatment and prevention of musculoskeletal and other related disorders. Your osteopath will give you a clear explanation of what they find (their diagnosis) and discuss a treatment plan that is suitable for you. They will explain the benefits and any risks of the treatment they are recommending. It is important to understand and agree what the treatment can achieve, and the likely number of sessions needed for a noticeable improvement in how you feel. Treatment is hands-on and involves skilled manipulation of the spine and joints, and massage of soft tissues. Your osteopath will explain what they are doing and will always ask your permission to treat you (known as consent). Ask questions at any time if you are unsure what you have been told or if you have any concerns. Self-help measures and advice on exercise may be offered to assist your recovery, prevent recurrence or worsening of symptoms. Most people visit an osteopath as a private patient and pay for their treatment. Fees can depend on the osteopath’s experience and the location of the practice; the average initial consultation fee is £48 for a 30-minute session and the average fee for subsequent sessions is £42 (Institute of Osteopathy Membership Census 2014). If you have private health insurance it may be possible to claim for your treatment. You will need to ask your insurance company about the available level of cover and whether you need to be referred by your GP or a specialist. All the osteopathic training schools have clinics attached, where students train, supervised by qualified osteopaths. Patients can get treatment there at reduced rates. See our list of training schools to find out whether there is a training school clinic near you. Because of the physical nature of the treatment, it is not unusual to sometimes feel sore in the first 24-48 hours after treatment. Your osteopath will explain any likely reactions that you could expect. If you have any concerns it is important to contact the osteopath and ask their advice. It may require more than one visit before your problem is resolved. The osteopath will review your progress at each subsequent visit and seek your consent to any changes to your treatment plan. 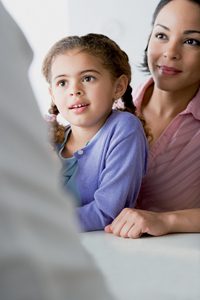 Is referral from a doctor necessary? Most patients 'self refer' to an osteopath for treatment. You can use the statutory Register of osteopaths on this website to find local osteopaths. Although referral by a GP is not necessary, you are encouraged to keep your GP fully informed, so that your medical records are current and complete. This will ensure you receive the best possible care from both health professionals. With your permission, your osteopath may send a report to your GP with details of your condition and treatment. You can also request a letter for your employer if this is helpful. For further information download our public information leaflet 'What to expect from your osteopath'.